Hi Marta! Merry Christmas, Happy New Year and Happy Epiphany! As always your writing speaks directly to me. Sometimes I read your words and wonder how did she put into words all the “stuff” that rolls around in my head! You do it so beautifully too. Thank you. Have you ever heard of the book “My One Word”? I just got it for Christmas and I’ve heard he gives great ideas for how to keep your word front and center through the year. 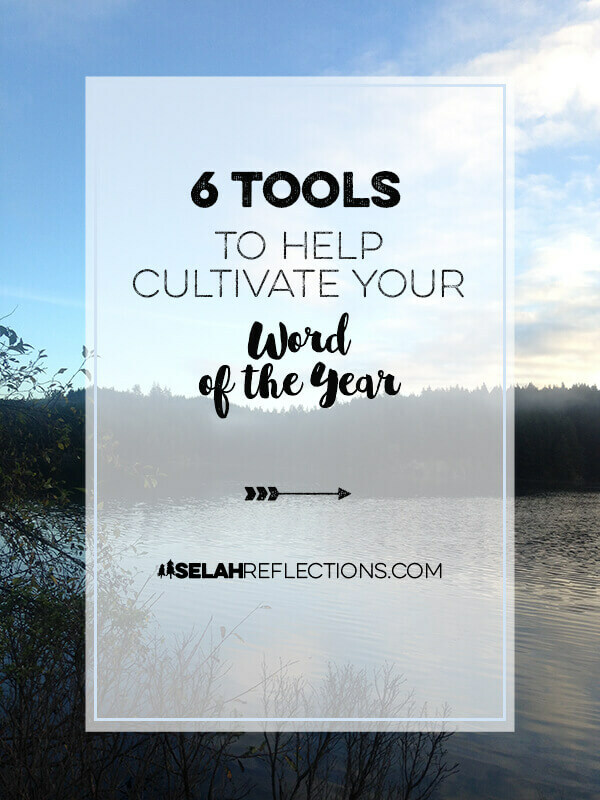 Creative ideas and ways to watch God working in your life regarding your word. One question, I’ve been trying to do quarterly reviews since Aug. Each time I plan the day, my husband or family has other ideas. How do you carve the time out (I’m a deep thinker so I like my space to do this), and do you have a separate journal for this? If so, then do you have 3 journals? One for the daily brain dump, one for the Word for the year, and one for quarterly reviews? I hope you are doing well. I jumped back into life too quickly after being clear of Lyme and am choosing to step back again and regroup. Listen and accept a slower pace and less on the to do list. It doesn’t help that I am in full swing peri-menopause and they are still trying to figure out how to get my body to handle hormones. Life is never dull is it? Looking forward to an awesome new year filled with good things! Hi Dee, Great to hear from you! Thank you for your thoughtful comment, that is so wonderful to hear that what I’m thinking and writing about is of interest :), a writer always likes to hear that LOL. I have not heard of that book, that title is now on my book list to look into further. I do have One Word That Will Change Your Life by Dan Britton. I had thought about re-reading that this year but ran out of time. Quarterly Reviews: I have found that I really need to go somewhere else, even if it is just to the coffee shop. There are too many distractions at home, personal things I need to cross of my to-do list, and work I need to do on my business, to writing projects I feel behind on. Going somewhere else, even for an hour or two removes most of those distractions and I find I can find a quiet corner with some some hot tea, put on my headphones with some quiet background music and get to work. Shorter weekly check-ins I can do at home in a few minutes but for my monthly prep and review and quarterly review I do need to go somewhere else. Journals: I am a journal collector and have them scattered everywhere but this year I am working on being more intentional and plan what notebook gets used for what. 1) My Bullet Journal / Travellers Notebook: This will be my monthly calendar, my braindump and my day-to-day activities. 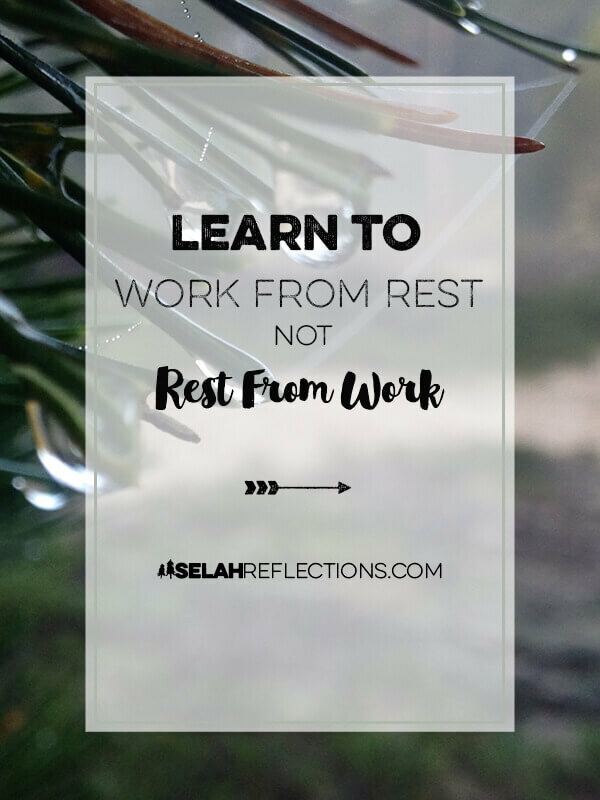 2) My Word of the Year Journal: I’ve decided this will be at least a once a week journal where I spend time writing out what I am learning about my word, related Bible Verses and quotes, as well as a list of 3-5 ways I can find rest this week. 3) Quarterly Reviews: For me probably not a notebook but loose leaf paper to give myself plenty of room to answer my standard list of questions. It gives me more room to scribble, doodle, and make a mess. Once I have worked through the questions and updated my goals for the next quarter, they will go into my PowerSheets Goal Planner and probably one or two other places where I can easily see them. Good for you for stepping back and taking the time to regroup. Healing is slow work and it is so easily to overdo and commit to too much and wear yourself out. That is a lesson I have to re-learn over and over again.